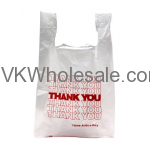 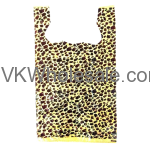 We carry good quality store supplies wholesale including price guns, price labels, plastic shopping bags, and beer can rings. 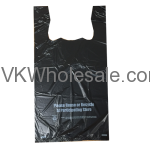 Whether you are c-store owner, gas station owner, dollar store owner or liquor store owner, you will benefit more with these good quality store supplies. 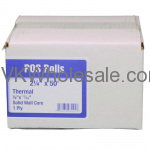 Minimum quantity for "2 1/4" x 150' - Thermal POS Rolls 50PC" is 1. 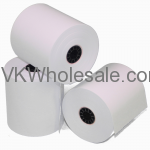 Minimum quantity for "2 1/4" x 150' Bright White Bond POS Rolls 100PC" is 1. 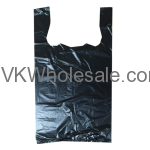 Minimum quantity for "2 1/4" x 50' - Thermal POS Rolls 50PC" is 1. 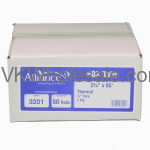 Minimum quantity for "2 1/4" x 85' - Thermal POS Rolls 50PC" is 1.